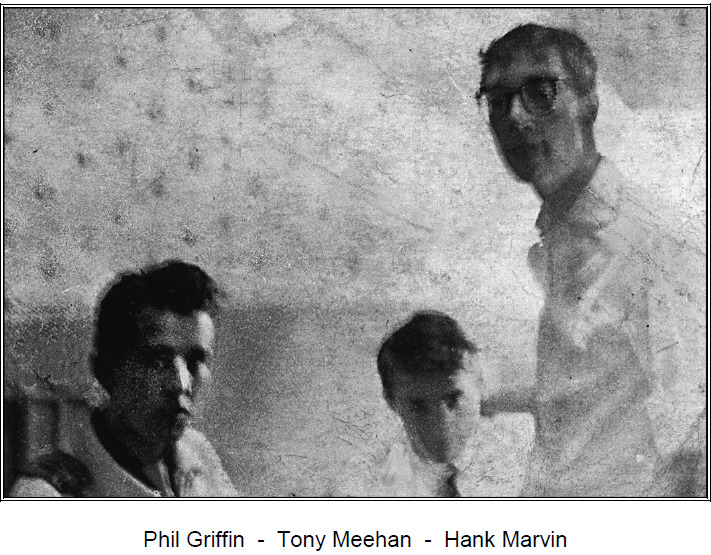 You might not have heard of him but Phil-Griffin lived on Fairfax Drive in the 1960's and now lives in Germany. 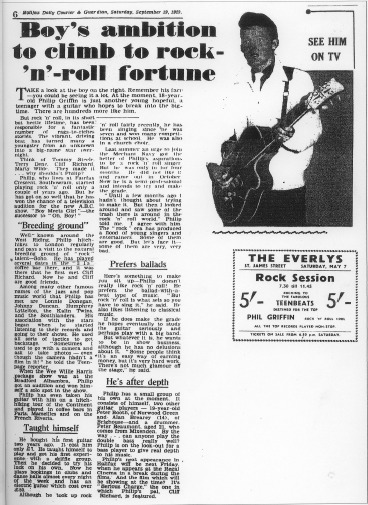 During his time in Southowram he was mixing with the very top stars of the Rock and Pop world. In fact, the likes of Cliff Richard and the Shadows were regular visitors to his home. Shirley Crabtree (Big Daddy) and his brothers opened ‘The Everlys’ club in premises at St. James’ Road, formerly occupied by Halifax Labour Party. 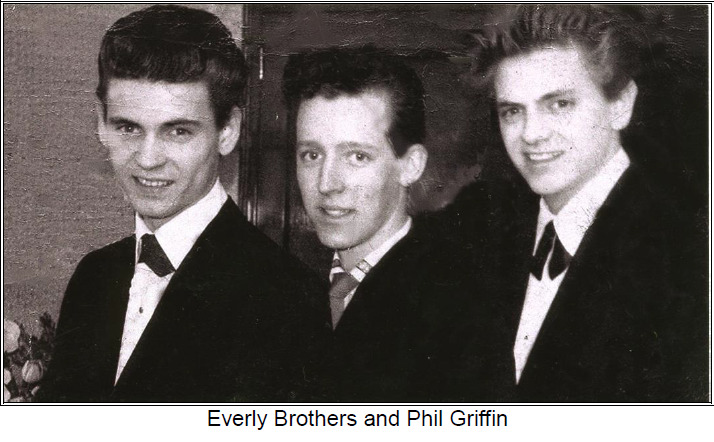 The club took its name from the American singers Don and Phil Everly who they met along with promising young Southowram singer Phil Griffin. Phil was booked as the opening act at the clubs launch on Saturday May 7, 1960 along with local group the Teen Beats.